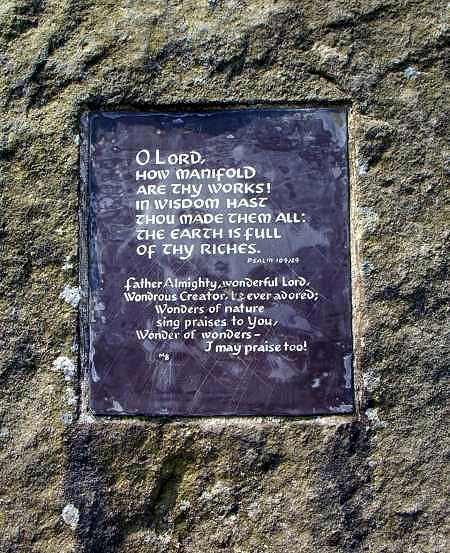 "I intended to have written a line yesterday, but just as I was sitting down for that purpose, Arthur called to me to take a walk. 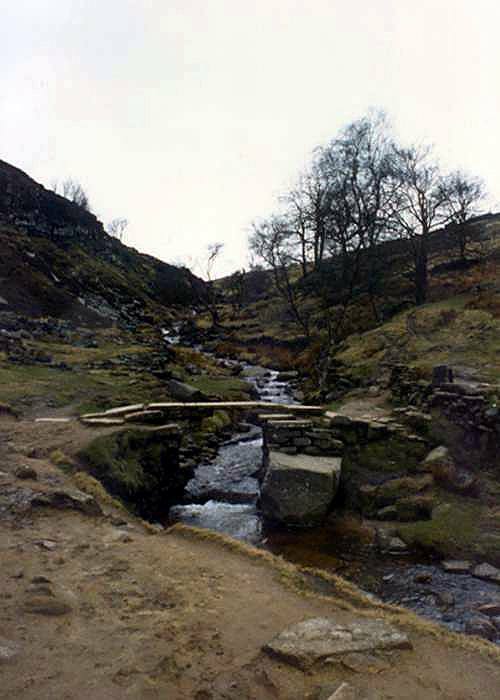 We set off, not intending to go far; but though wild and cloudy it was fine in the morning; when we got about half-a-mile on the moors, Arthur suggested the idea of the waterfall; after the melted snow, he said it would be fine. I had often wished to see it in its winter power, so we walked on. 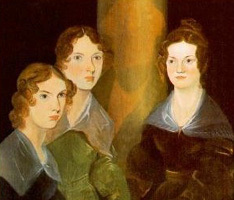 It was fine indeed; a perfect torrent racing over the rocks, white and beautiful!" 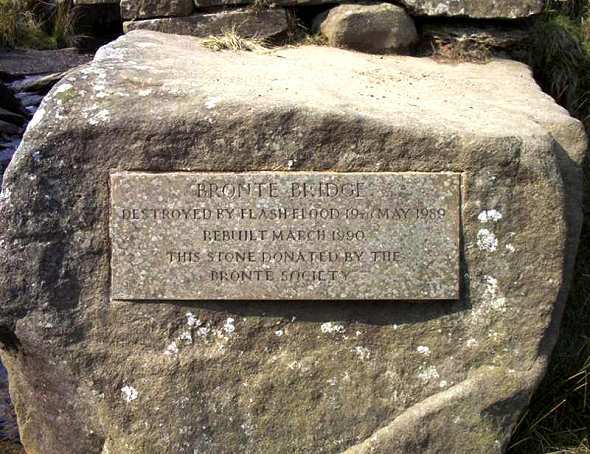 The old Bronte bridge was destroyed by a flash flood 19th May 1989, and rebuilt in 1990, the plaque (right picture) marks the event. Picture of the old bridge here... It is a "clapper" type of bridge, being supported by stone uprights. 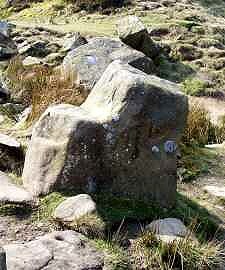 The stone (right picture) is known locally as the Bronte chair. 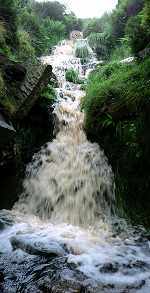 The Bronte Falls is at its best after heavy rain, in dry weather it can be a trickle.